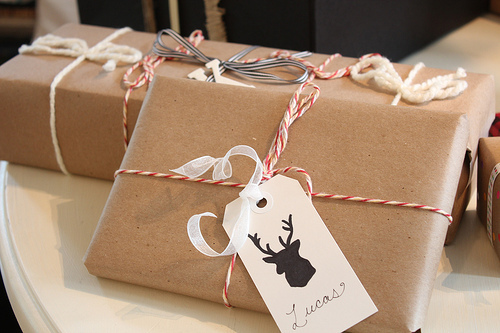 If you’re trying to think of gifts to buy for a homeowner, homeware can be a pretty safe bet. Buying them something thoughtful for their home is always a good idea. A pretty photo frame is a simple gift, but one that can make a big impact. It’s up to you whether you put a photo in the frame or leave that up to the recipient. You could put a picture of the both of you in there, to make it a nice sentimental gift. You could even consider making this gift yourself to make it more sentimental. A plant is a very simple homeware gift idea, but one that can work wonders. Having plants in the home environment is healthy, and looks great. You can even buy a fake plant if you’re worried about it dying or being toxic to pets. Framed artwork and prints look amazing on a feature wall, or in just about any room. Providing you have a good idea of the taste of the person you’re buying for, you should be able to find something really attractive to help them decorate their home. A clock is a great gift, especially if you buy a quality clock that will stand the test of time. Every home needs a good clock, whether it’s in the kitchen, living room or hallway. It’s a practical gift that can look great and add character too. Mollie and Fred have plenty of clocks for all different styles of home decor. A pretty ornament can look nice on the mantel or fireplace. Buying ornaments can be risky if the person you’re buying for is picky. That being said, there are plenty of ornaments that look great in any kind of home decor, so you can’t really go wrong. I’d just make sure you have a gift receipt, just incase. If your friend is handy in the kitchen, there are a number of kitchen accessories you can purchase to give to them. A thoughtful gift like this will always be appreciated. A cushion might sound like a strange gift, but there are so many great designs out there these days. If you know your friend likes to mix and match different styles to add character to the home, you could pick a nice one to add to their collection. Let’s face it; it would be hard to go far wrong with a candle. You can find so many nice candles out there, that there’s bound to be one to suit your budget. Hopefully you’ve found something on this list that has inspired you to give a great homeware gift. Homeware gifts are perfect for homeowners, and they can become very sentimental if you buy something quality for them. It’s always worth investing in homeware to get something that will last. Thanks for visiting!